Making your own homemade ant killer using borax is a super easy solution for how to get rid of ants both effectively and cheaply. I have done this several times and it works! I’ve even made several of my homemade ant traps at a time and given them away to family and friends to use for ant control at their own homes. I figure, why not? I’m making a big batch of it anyway. I might as well fill a few more baby food containers with the mixture to help out others. I’m so passionate about using this method for getting rid of ants that I created this entire website just to show others how to do it! 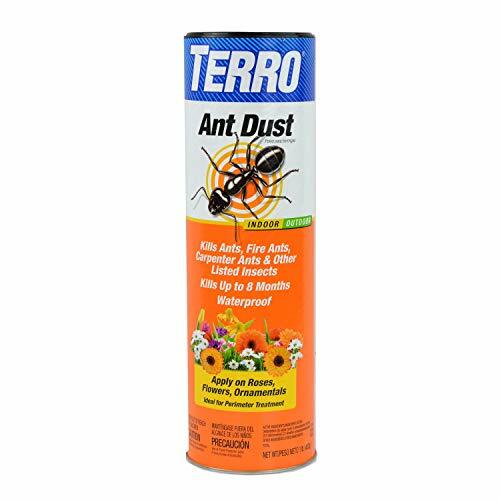 It doesn’t have to cost an arm and a leg to get rid of your ant problem. In extreme cases you may have to hire an exterminator. Store bought ant poisons are effective too. But making your own homemade ant killer is just as effective and SO much cheaper. The first step is to acquire the knowledge. What to use and how to use it. The easiest way to do that is to search the internet. Luckily for you – you’ve landed on the right page! I’m going to show you exactly how I make my own borax ant traps. I even have proof that they work! Check out the picture on the home page of this site. In a nutshell, I mix approximately 1/3 borax, 1/3 sugar, 1/3 water and add a little syrup. Use more or less water depending on the thickness you desire. This nutshell version pales in comparison though to my very detailed step-by-step instructions with pictures. Check out that page to see exactly how I make my own homemade ant traps filled with my own mixture of borax ant killer. Are you a little skeptical about whether or not using borax for ants will work? Don’t just take my word for it. Check out these examples from others around the web who use borax to kill ants. Yes – Borax got rid of the ants! So, I randomly had a bunch of little ants coming into my kitchen under one of the cabinets that backs up against an outside wall…. …Soak cotton balls in the mixture, and put them out by the mess of ants. BOY did they like that. So, I locked the cats in the bedroom for a few hours and set several soaked cotton balls in a line along the edge of the cabinet where the ants were coming in under. I let the ants go to town, picked up the cotton balls, wiped up the floor , and let the cats out. Then, repeated the experiment for a second round of about an hour later in the evening (with MUCH fewer ants). It’s now been five days with no more ant sightings, so I’d say this is so far a success. If they come back later in the year (they always do! grr), I’ll give it another go. This is just a portion of the original post by Rachel from MashupMom.com. Click through to her site if you’d like to see the recipe she used. Personally, I think Rachel should make the types of homemade ant traps that I make. Mine are a little more cat-resistant than the borax soaked cotton balls that she used and just set out in the open. So, we spent hundreds of dollars on pest control contracts for the first couple of years of living here… The first company we went with didn’t get rid of them or even keep them under control! The company we went with the following year did get rid of them, but we got tired of spending all that money on those tiny little ants. So… I did some research, and found that mixing Borax with honey or syrup (or sugar & water) is a cheap, easy, and effective way to rid your home of those annoying little things. I tried it and it worked! I put some of the mixture in a container with a lid, poked a few small holes around near the bottom so the ants can go in, but your pets can’t get to it. This was just a portion of the original post by Crystal from Delaware County Moms. Click through if you’d like to see the rest of her story and learn about some other tactics she tried that worked for her previously, but not in this county! Store-bought baits or traps are pretty straightforward. You place the bait where you have seen ants traveling in lines, or where you see them often, and they will then take the bait back to the nest. The bait gets shared and the whole colony meets its demise…. hopefully. Sometimes it takes more than one go-round with bait. You can make your own ant bait by mixing boric acid or borax powder with corn syrup to make a honey-like consistency. Place blobs of this on piece of stiff paper or cardboard (this is a great use for all those cards that fall out of magazines), and leave where the ants can feed on it. Make sure pets and kids can’t get at any of these baits, whether store-bought or homemade! This was just the Ant Bait portion of a post originally written by Lexi on Natural Moms blog (site no longer active).